Marilyn Monroe was born in Los Angeles on June 1, 1926 and passed away in the city’s affluent suburb of Brentwood on August 5, 1962 at the age of 36. Though she’s been gone more than five decades, she remains one of the most famous celebrities of all time.Those of us in LA can retrace Monroe’s footsteps in the city where she was born, raised and spent most of her life. 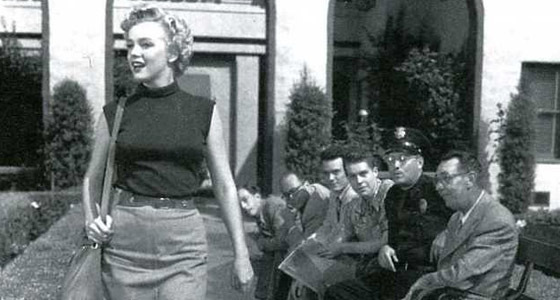 From her humble beginnings at an orphanage as Norma Jean Mortenson to her rise to stardom as the immortal Marilyn Monroe, here are 10 places to experience Marilyn Monroe’s Los Angeles. The orphanage (it was the first one in LA) where young Norma Jean lived from 1935 to 1937 is no longer a residential care facility, but the building where she spent part of her childhood remains. Her room had a window facing the water tower of RKO Studios (now Paramount Studios) where she would eventually become the star of the show. Oh, if these walls could talk. One of Hollywood’s most famous landmarks, the historic Hollywood Roosevelt is where Monroe posed for her very first commercial (most people think it was for suntan lotion but it was for toothpaste) on the pool’s diving board that no longer exists. In the mid-50s she regularly stayed in a suite above the pool area that is now the Tropicana Bar. It’s reported that Monroe loved the hotel so much her spirit lives here to this day. Whether or not that’s true, you can at least experience her presence by booking the Marilyn Suite (room 229). At one time or another, this enchanting English bungalow hideaway was the home of many famous tenants including Charlie Chaplin and Marilyn Monroe. In 2008 the property was completely restored and it’s now where you can rent the same two-bedroom cottage where Monroe lived in the 1940s. One of the most iconic moments in Hollywood happened on June 26, 1953. That’s when Marilyn Monroe and Jane Russell put their handprints and autographs in the cement in front of Grauman’s Chinese Theatre for their movie “Gentlemen Prefer Blondes.” But what you might not know is that there’s a small plaque on the nearby fountain that quotes Monroe: “I used to go to Grauman’s Chinese Theatre and try to fit my foot in a celebrity impression. It really meant to me that anything is possible … almost.” Coins collected from the fountain are donated to Hollygrove. This retro-chic boutique hotel was home to Marilyn Monroe during several periods of her life, starting in 1948 and then intermittently for about three years. She was photographed many times at the property, which, back then, was more of a residential apartment building that housed people in the industry including Mae West, Lucille Ball and Desi Arnaz. By the summer of 1949 she had met Johnny Hyde, a talent agent at William Morris Agency. They moved into a rented house together in Beverly Hills, but she still kept her one-bedroom apartment at the hotel. The fantastic part about the Avalon is that the pool area and lobby look much like it did back in the day and the famed hourglass-shaped pool you see today is the same one she once splashed around for photo shoots. Marilyn first lived at the Pink Palace in 1952 in a third-floor room and then off and on while filming different movies until 1960. 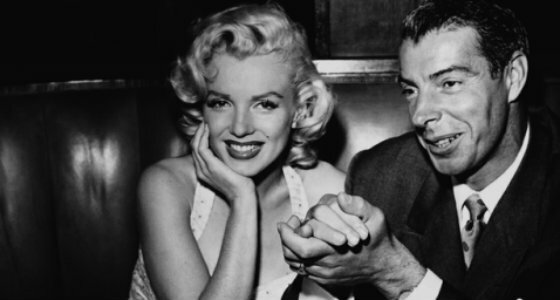 Marilyn and her second husband Joe DiMaggio stayed at the hotel soon after they were married, in early 1954, while waiting for decorators to finish their home at 508 North Palm Drive in Beverly Hills. In 1960, during her last stay to film “Let’s Make Love,” Monroe and (her third and final) husband Arthur Miller lived in Bungalow 20 while her co-star Yves Montand and his wife stayed in the adjacent Bungalow 21. The two actors took the movie’s title quite literally and ended up carrying on an affair. The next year Monroe and Miller divorced. Back in the heyday of Old Hollywood, there was no better place than Chasen’s to see and be seen. In a New York Times article, general manager Ronald Clint — who worked at the restaurant from 1954 until its closing day in 1995 — recalled that Marilyn Monroe was a regular. “Marilyn was a lovely girl. She was making a movie nearby — might have been her last. She would film all day and wear slacks on the way home. She would sneak in through a side door and eat in a corner booth because she wore slacks. Nowadays, she’d be considered dressed up.” Although the restaurant is long gone, you can still find the original booths, paneling and some vintage photos located near the market’s cafe. Who knows? You might end up seated on the very same booth that Monroe shared with Joe DiMaggio. Location, location, location. For all the glitz and glamour Marilyn exuded, many of the places she frequented weren’t exactly high end. Case in point: This legendary haunt that has seen just about every celebrity pass through its doors since 1925. And no, it’s not because the food is so great. It’s because of its location right next to a movie studio. It’s adjacent to a strip mall now, but back in 1958 while filming “Some Like It Hot,” Marilyn was a regular. Formosa Cafe is the midst of a renovation with plans to reopen in 2018. Once that happens, there’s no doubt you’ll be able to see her — along with generations of stars from Humphrey Bogart to James Dean — gracing the photographs that line the bar’s walls. Marilyn Monroe died on August 5, 1962 at the age of 36. Although her death is still a subject of controversy (was it the mob? did she really overdose? was there a political cover-up? ), there is no dispute that her bronze casket is interred in wall crypt 24 at the Corridor of Memories in the northeast corner of this somewhat hidden cemetery. She was buried in a green Pucci dress with a bouquet of pink roses from her former husband Joe DiMaggio. It was a short, tumultuous and peripatetic life she led, but Marilyn Monroe created a legacy that will live on forever. Theres another couple good spots on Doheny. Marilyn once lived at 882 North Doheny Drive, and the building looks exactly as it did then (http://www.iamnotastalker.com/2010/03/22/marilyn-monroes-former-doheny-drive-apartment-building/). I love everything about Marilyn MOnroe. RIP, I wish she was still alive. Great article, I will use this next time I visit Hollywood! This is really fascinating. I looking for more of your great post. And not to be left out, Marilyn’s early days as an actress when she resided at the famous Roosevelt Hotel where she occupied a bungalow directly above the pool and bar area. She also did her very first promotional ad for a sun tanning product where she sat atop the hotel pool diving board. The hotel was a famous hangout for Hollywood’s elite at the time and the food in the main restaurant and ballroom was first rate. It may be trivial, but I performed with Marilyn on two separate occasions during my childhood acting days. My brother did as well. A final note: Marilyn’s half sister Bernice is still alive at 91. And Marilyn’s niece Mona Rae administers the estate of Marilyn Monroe. OMG THAT’S INCREDIBLE! I WISH I WOULD’VE KNOWN ABOUT MARILYN’S SIS – IF SHE IS BASED IN LA, I WOULD’VE HAD HER JOIN ME & MY CAST OF MARILYN LOOKALIKES ON TV! You forgot to submit the Hollywood American Legion Post 43 next to the Hollywood Bowl on Highland. Marilyn used to play pool there and hang out there. Also was a hang to Bogart, Laurel & Hardy, Ronald Reagn and more…. Good call, Wolf! Thank you for that tidbit … didn’t know she played pool!! love marilyn so mcuh. why did she has to leave us so soon? so sad yet she will live with us forever……. nice list and i like the photo credits in the alt tag on the mouse-over!